An early and lasting obsession with Breton striped t-shirts plus a soft spot for French bread, brie and patisserie have often had me wondering whether I might have a litre or two of Gallic blood coursing through my veins. C'est possible. 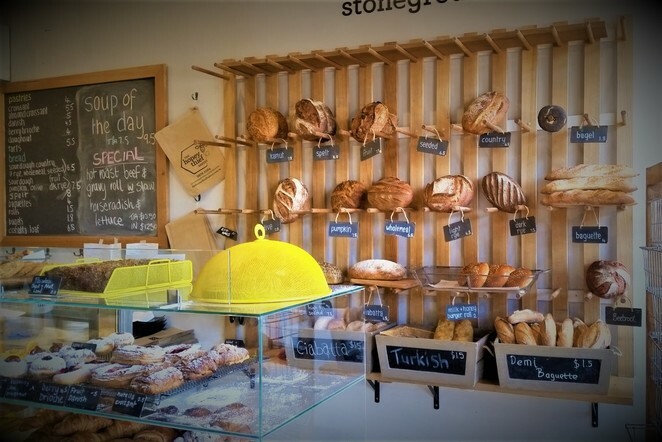 Truth be told, I love any kind of quality bread so sniffing out a new artisan bakery within easy reach of my 'hood holds a special thrill. I say "new", but it's fair to say The Honey Thief Bakery in Blackburn South is neither new nor undiscovered, having started to win awards for its speciality bread within six months of opening its doors in December 2014. 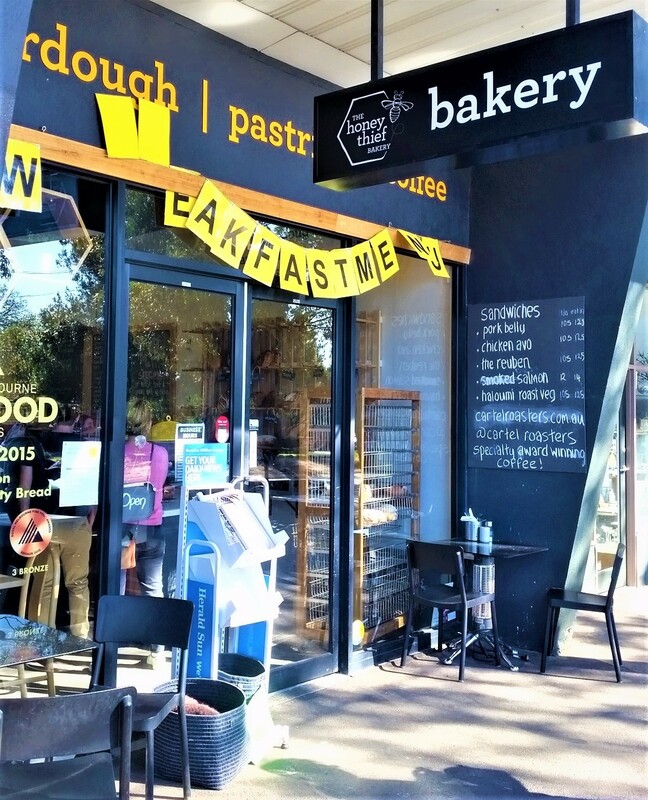 The bakery is small, with an unassuming frontage: blink and you'd drive right past it, as I did the first time I tried to track it down. Parking out front is also tricky as this section of Canterbury Road is a very busy dual-carriageway. Even so, neither its size nor location seems to be much of a deterrent for the customer following it has succeeded in attracting. There are a few tables and chairs set out optimistically on the pavement in front of the bakery. A suburbanite and proud, I don't take my coffee loud... unless there's no other seating available. I counted four tables indoors and were lucky to nab one of them before the lunchtime hordes descended. Once inside, there's a lot to grab your attention and to whet your appetite. 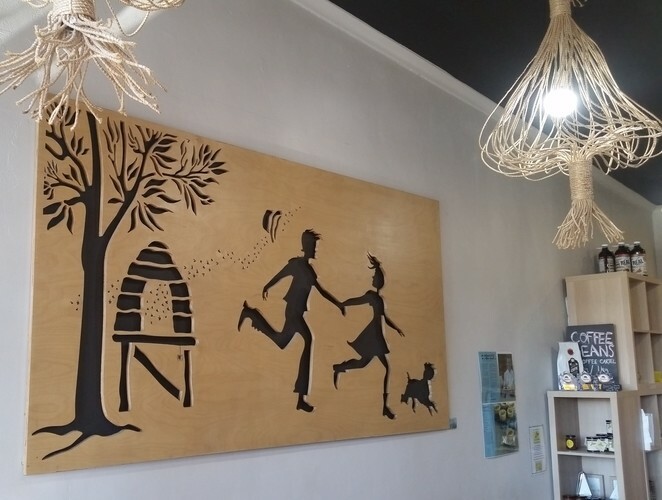 Macrame-inspired light pendants and a large, timber, decorative plaque really catch the eye, and I love the pops of brilliant yellow in the cafe's decor, which brighten its neutral, wood-themed interior. 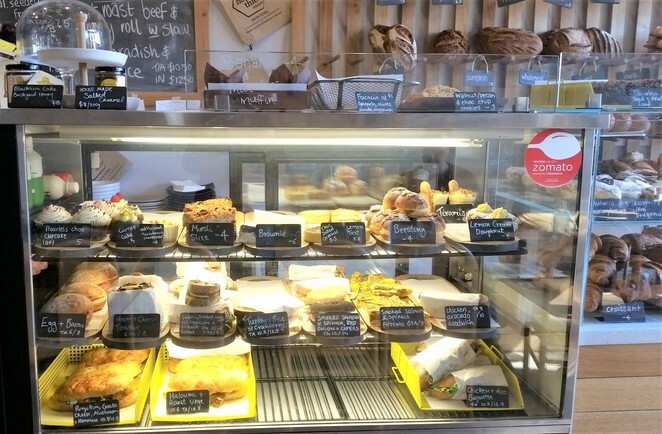 Bread is arrayed attractively on a timber pegboard shelving system, behind glassed cabinets displaying an appealing selection of sandwiches and pastries. I'm a big fan of The Honey Thief Bakery's Bee Sting cakes. 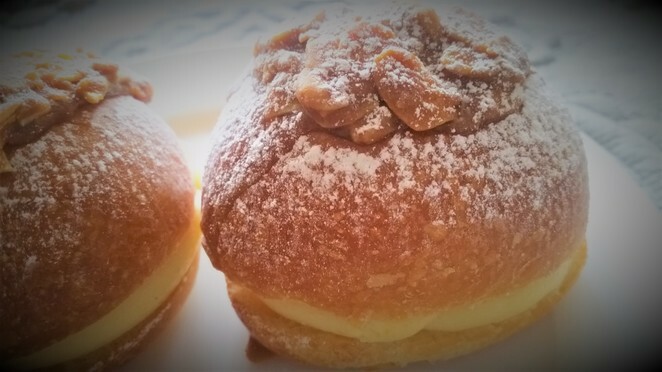 The combination of the sweet dough, custard and almond praline topping make this confectionery concoction dangerously moreish, and hard to resist. 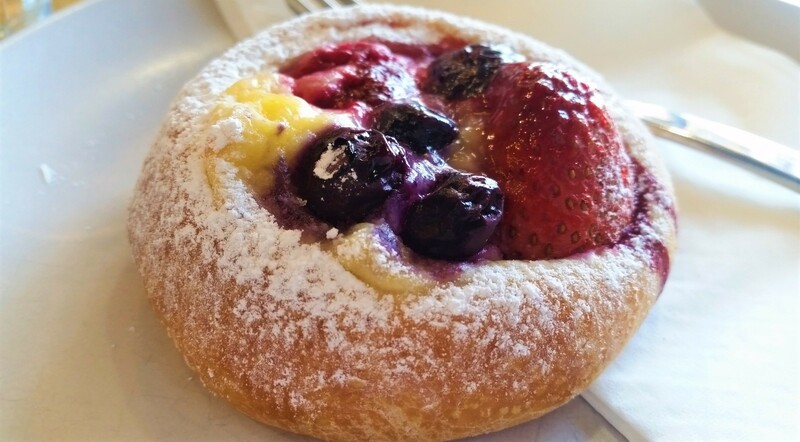 It has tended to be my pastry of choice although, in the name of research, I felt compelled to sample the bakery's Berry Brioche. It's not big to start with, but I cut the brioche into four tiny pieces, in a futile bid to savour it slowly. Make no mistake, this bakery's pastries are for scoffing. 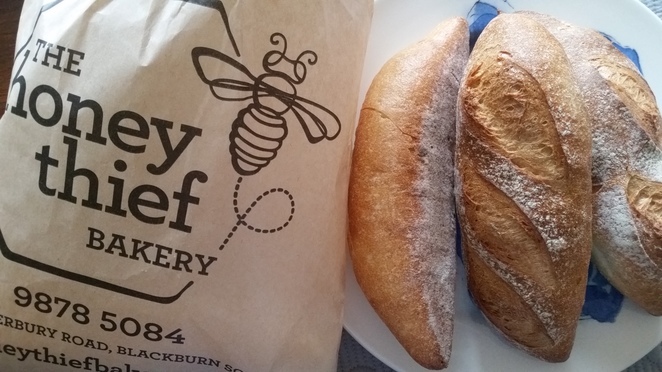 The Honey Thief offers an interesting range of bread, specialising in artisan sourdough loaves such as Rye, Quinoa, Fruit, Pumpkin and Beetroot. 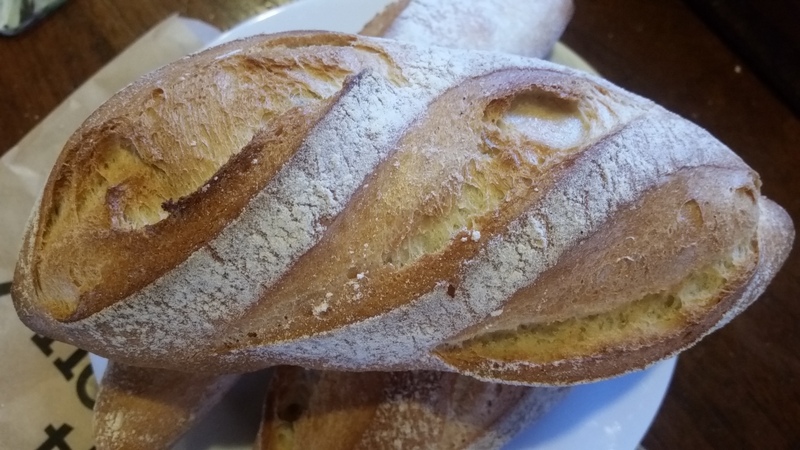 Made with unbleached, organic flour, its Spelt Sourdough won a Bronze award and its Country Sourdough and Seeded Sourdough loaves were awarded Gold at this year's Australian Food Awards. The bakery makes a range of luscious-looking bagels and rolls. 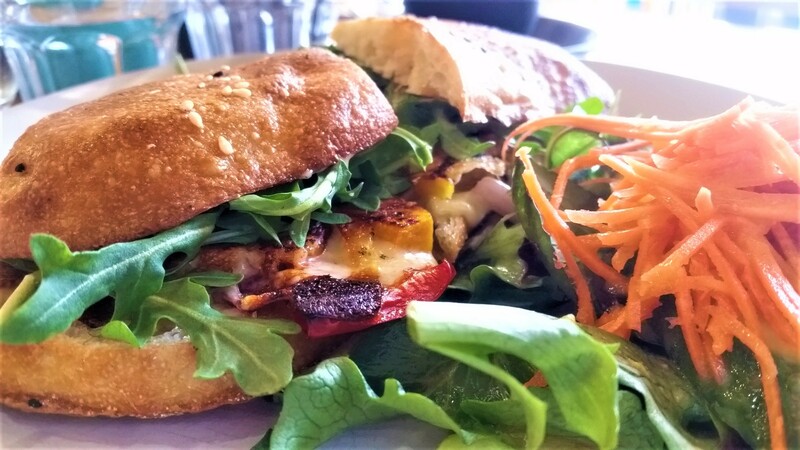 I can highly recommend the Halloumi, Roast Vegetable and Rocket Sandwich, in a Turkish roll: admittedly, I was feeling famished at we were eating late, but it was still the best toasted sandwich I'd had in a long time. My preoccupation with any loaf given a French name guaranteed that I would buy at least one of the bakery's baguettes back on that first visit. Its demi-baguette had me at the first crunch - though, be warned, you'll need firm sets of pearly whites if you're thinking of tackling one. It proved an instant hit with my family so I've bought more since, plumping for demi-baguettes over the full-size stick, as I've found these make satisfying sandwich bases for teenagers with bottomless stomachs. My quest to continue combing Melbourne for the perfect baguette continues - which isn't to say there aren't plenty of tasteful reasons for me to keep returning to The Honey Thief Bakery. It's a land of milk and honey - and I don't just mean the Burger Rolls. The specialty bread sounds fantastic. Great article, Eliza - love your humour!